Dangal Superstar #AamirKhan as promised released the Hindi Trailer of forthcoming mega movie #Vishwaroop2, starring #KamalHaasan. The trilingual release Visharoop 2 had three different trailers released on the same day, Aamir Khan released the Hindi version on his social media profile. 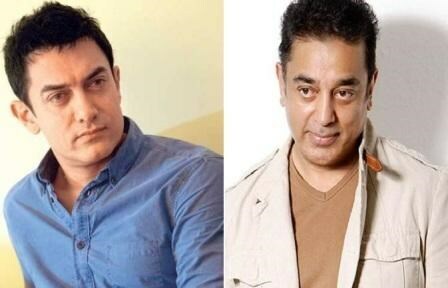 Vishwaroop 2 is directed by Kamal Haasan, starring Kamal Haasan, Rahul Bose, Shekhar Kapur, Pooja Kumar and Andrea Jeremiah. This time around the movie revolves around a Masterplan to attack New York City by Al-Qaeda terrorist Omar Qureshi Was destroyed by an Indian Intelligence Bureau Agent Wisam through investigation. Meanwhile, main terrorist Omar and Saleem had escaped from New York, Wisam was given the responsibility to kill Omar along with his co-terrorists. The film is presented by Rohit Shetty Films and Reliance Entertainment, and it is releasing on August 10, 2018. As for Aamir Khan, the actor is busy wrapping his first outing with Amitabh Bachchan, Thugs Of Hindostan. The movie also stars Katrina Kaif and Fatima Sana Shaikh. The film's plot is based on Philip Meadows Taylor's 1839 novel Confessions of a Thug, about a thug (also known as a thuggee) called Ameer Ali, whose gang of thugs posed a serious challenge to the British Empire in India (then known as Hindustan or Hindostan) during the early 19th century. The film tells a fictional story set between 1790 and 1805. Yash Raj Films banner is helmed by Vijay Krishna Acharya. The film is slated for 7 November 2018 release.